It was the first section that I walked, with my wife Barbara and then 15-year old son Adrian beside me. He was (still is) history-obsessed, and the chance to see some Roman history up close, and have a proper walk at the same time, was too good to miss. And for me, it was a nice little add-on to my walk across the Lammermuirs in southern Scotland the week before. We arrived at Chesters fort in the late afternoon, having met up at Newcastle station and taken the AD122 bus onwards. 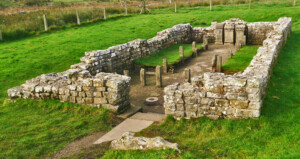 Chesters (in Roman days Cilurnum) occupied a key strategic location on the wall, guarding the crossing of the broad North Tyne river, and the outlines of the large fort and its various buildings are well laid out and explained. The walk away from here is along the modern B6318, or in a field beside it; not the best introduction for my party, but I promised it would get better. Although the B6318 is next door for the first few miles, on this quiet morning we barely noticed it, as a cloud inversion blanketing the South Tyne valley and our farm took the eye. The first important site of the day is Brocolitia, a fort with beside it the Mithraeum, or temple to Mithras. I would be back here in 2015, as my Cross-England Walk intersected with the HWP. A mile beyond, and we entered the Northumberland national park, probably the emptiest of England’s national parks. The bleak countryside heading north is rough country still; goodness knows what it looked like to the Asturian soldiers once responsible here. 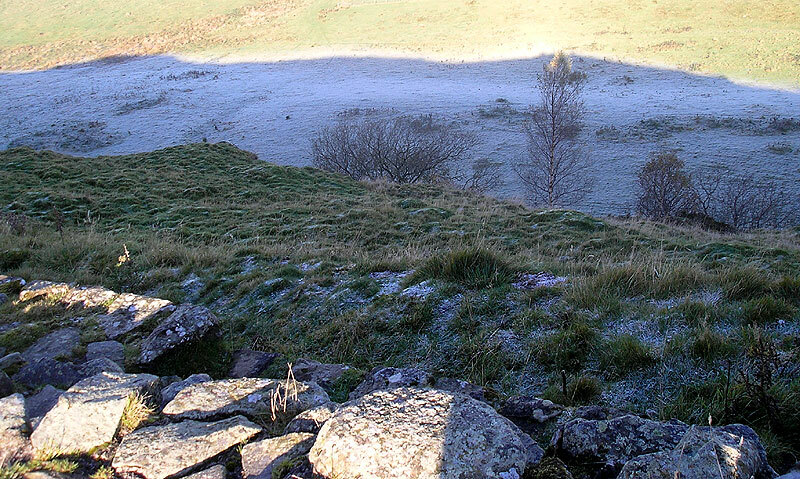 At Sewingshields Crags we started to rise on to the Whin Sill outcrop, which the Romans so cleverly used to maximise the defensive potential of the wall. 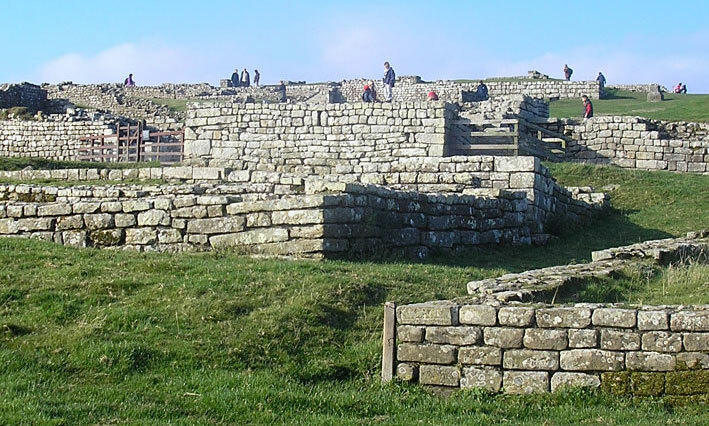 Housesteads fort (Vercovicium) is, like Chesters, a major restoration site, with much to see; we made our way down to the road for refreshments at its information centre. 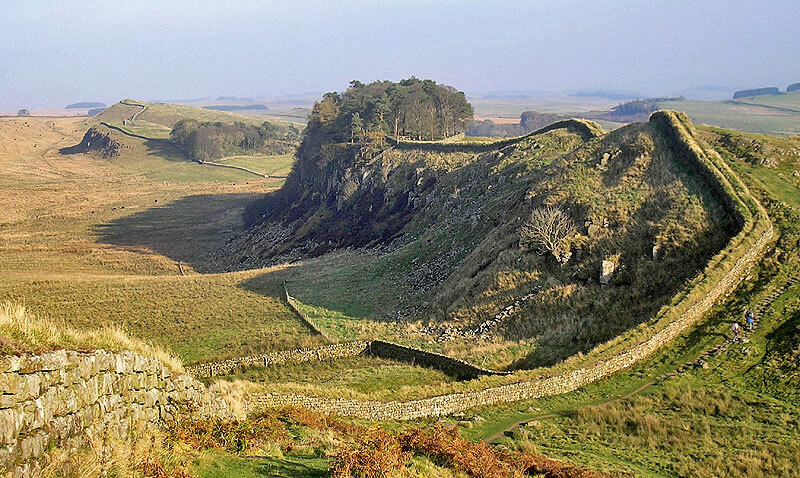 Perhaps the most famous view of the Wall is that from Hotbank Crags, a mile from Houstesteads. This is also the place where the Pennine Way comes in from the north, and the two trails co-exist until just after Greenhead. This was somewhere I’d been before, as Dave Travers and I walked this part in 1994, albeit in the reverse direction. Just after Crag Lough, the HWP descends to Sycamore Gap, its eponymous tree later to win the English Tree of the Year award in 2016. I’m not sure we noticed it. Perhaps we were thinking of the day’s end, a mile’s road walk off-path from Steel Rigg to the B&B of Saughy Rigg farm. Saughy Rigg kindly gave us a lift back to Steel Rigg, and we were soon on the top of Winshields Crags, the 1132ft high point of the path. There had been a hard frost overnight, and as it so often does, this gave way to glorious sunshine which continued virtually unabated all day; combined with distant views forward and back along the wall, this was memorable walking. Great Chesters Fort was far less extensive than we expected, but we had a major stop at the Roman Army Museum at Vindolanda. 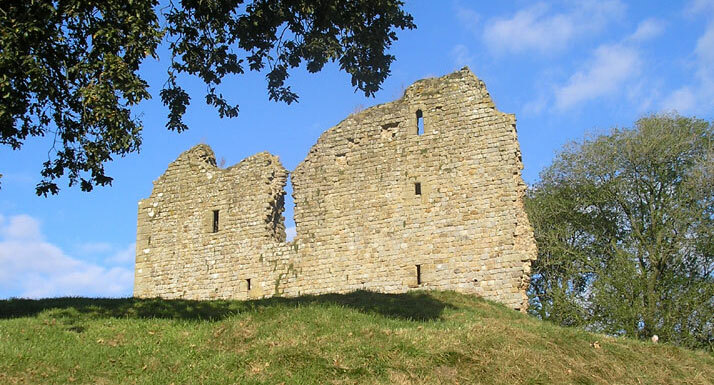 Not much further on is the romantic ruin of Thirlwall Castle, dating from the 12th century and therefore something of an upstart considering all that is around it. The castle guards the Greenhead gap. The gap marks a major change in the wall, as the Whin Sill outcrop declines and the Tyne/Eden watershed is reached. The walking becomes more pastoral now, with a charming riverside section after Gilsland, but then a rather dull climb to the final major Roman fort of our tour, Birdoswald. Alas we had just missed opening hours, so after a short break we headed away from the path and across fields to our final B&B of the trip. We used the bunkhouse at Green Carts farm, where the very helpful Mrs Maughan happily drove us to and from the local pub for dinner. Saughy Rigg farm had four stars, but we felt (back in 2007) that it was trading on its reputation somewhat. Finally, Brookside Villa in Gilsland was just about the best B&B we’ve ever stayed in – great food, properly served beer, and loads of nice extra touches in the rooms. Mrs Collins gave us a lift into Brampton the next morning too.